Supporting women to Rise on all levels: Spiritually, emotionally, mentally, physically. 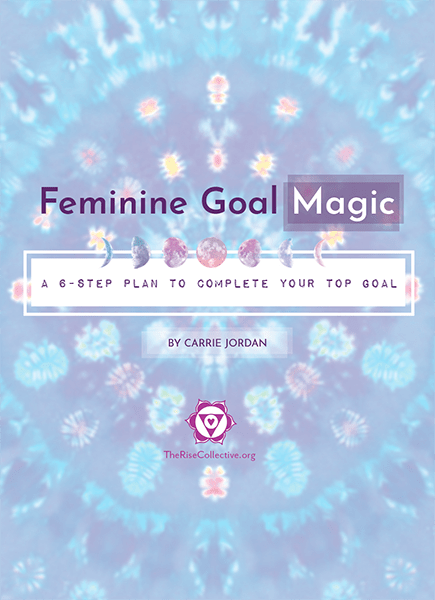 Hi, I’m Carrie and I guide women through an initiation into true sovereignty and priestesshood so that they can be the mothers and aunties their daughters, nieces, and communities need as guides. It is time to systematically create structures that empower, and it may not look like what you think. It is in community. It is around a fire, around a table, girls with women, having frank and vulnerable conversations about where we are going and where we are now. This is a movement of guides, of co-creation. By healing the ancestry, the womb, and the earth, we are co-creating a new reality. It is a love that has always been here. I have truly always felt this overwhelming love. Our responsibility is to heal ourselves. And I’m not your healer. No. Your guide to the mystery, the unknown, the grace and synchronicity. We are all humble students of life. And yes we will support one another. What we need is teachers and guides…For the guides to show themselves to the students. And I’m not saying that I am responsible for the planetary spiritual revolution—oh no. We are The Rise Collective. When we heal our bodies, we will heal the Earth. We each came here for a specific reason. We have all the tools we need within. We are children of the Earth. If you really knew me, you would know that I see the world as a magical place and I look at the world through a spiritual lens. I require my relationships, my work, and my communication to have a spiritual flavor in order to be fulfilling to me. My mission in the world is to enliven the physical, practical world with Spirit. I do this by guiding people to clear their psychic environment so that spirit can come through us and so that we can communicate with the spirit realms. I penetrate through what is on the surface and see what is not always visible. My greatest pains and struggles have become my great work in the world. Those struggles have all centered around my feminine wounding. I’m not going to tell you about the stories of my long and winding journey into womanhood. I have written plenty of blog posts about those stories! What I will tell you is, these are the very experiences that forced my rite of passage into womanhood. These experiences have shaped my work on this planet in many ways and for that I am grateful. For nearly ten years, I have studied, taught, experienced, and facilitated rites of passage, ancestral healing, womb healing, feminine goal setting and productivity, and ancient earth wisdom. I am committed to this work on a soul level.